Lord, have mercy, Jesus, hear us. Jesus, graciously hear us. From all evil, deliver us, O Jesus! From all sin, deliver us, O Jesus! I tell my students that they shouldn't say "Jeees!" because it is the abbreviated Sacred Name: IHS. If the interpretation of IHS as the first three letters of the Holy Name in Greek is correct, why is the last letter represented as a Roman "S" not as a Greek sigma? Are there examples attested that do use the sigma? 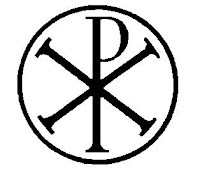 Do you happen to know when this symbol is first attested (is it in the catacombs?)? Just a small (and somewhat trivial) note: "ihsous" is not a transliteration, since "h" is not the transliteration of Greek eta, but merely what the letter looks like. The spelling you give as the pronunciation really is a transliteration. I did the same in my religion classes today (grades 5-8) ... thanks for the tip! Indeed, there is an oddity in the way that the letters are "transliterated" ... the "sigma" is put into the Latin "S", but the "eta" is rendered with the Latin "H" ... hence, it is not really a transliteration, but neither is it really "what the letters look like" (since the sigma was transliterated). "iota" is transliterated and "sigma" is transliterated ... but "eta" is rendered as "H". I would suppose that the fact that the lower-case greek sigma (in one form at least) looks like an "s" is part of the reason that the capital Latin "S" was used replace the capital Greek "sigma" ... though I don't know of any hard evidence to prove this. I think there's more to Iesus Hominum Salvator than a "popular legend" or "fine devotion". After all, I've been taught that the name Yeshu‘a literally means "Yahweh saves". It may have taken a roundabout way getting back to it, but that is precisely the same meaning as Iesus Hominum Salvator. I certainly do not mean to dismiss the Iesus Hominum Salvator tradition out of hand ... I think it is a wonderful devotion, though not historically accurate. Indeed, as I say, there is only one Name by which we must be saved -- and, as you rightly pointed out, the very name Yeshu'a means "YWHW saves". 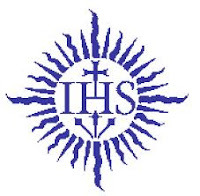 However, the simple fact is the IHS derives from Greek, not from Latin -- and it was used as short-hand for the Holy Name. Hence, "Jesus the Savior of Men" (from the Latin) is not the true historical roots of the IHS. Don't get me wrong -- I think it is great to meditate upon that (as well as the battle of the Milvian bridge), but it is not the literal sense of the IHS. But it is good to know that the IHS is verily the Holy Name itself -- and this should be the heart of our devotion. whatever swims the paths of the sea. May the Most Holy, Most Sacred, Most Adorable, Most Incomprehensible and Unutterable Name of God be always praised, blessed, loved, adored and glorified, in Heaven, on earth, and under the earth, by all the creatures of God and by the Sacred Heart of Our Lord Jesus Christ in the Most Holy Sacrament of the altar. Amen. After receiving this prayer, Sister Mary was given a vision in which she saw the Sacred Heart of Jesus delightfully wounded by the "Golden Arrow" as torrents of graces streamed from It for the conversion of sinners. 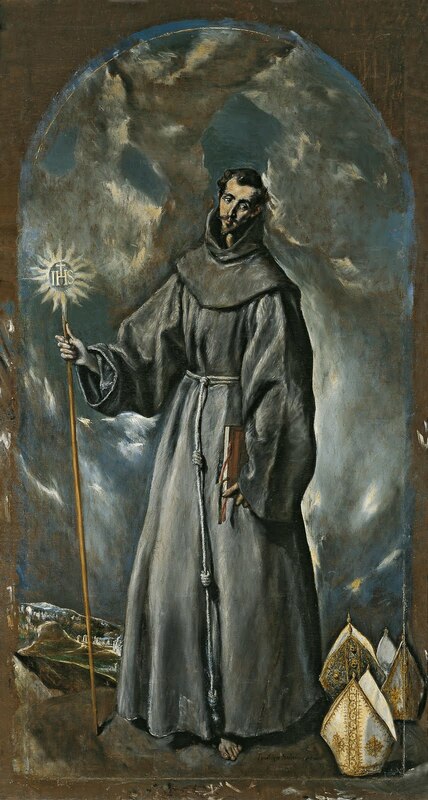 Peace & Prayers to you, Father, on this glorious feast day of our Dear Lord Jesus! Jesus Christ God's Son Savior! It is not uncommon to see this written as "ihc." In this variation, one can see the Latinized lowercase Greek. The lowercase sigma dips below the base line (I am sure that there is a proper name for this line, but I am not sure what it is.) of the written test, much like a cedilla that we often see with the French "c". In art, the part that dips below the base line is sometimes removed. Of course, this preserves and demonstrates that this is a reference to the Holy Name and not an acronym for something else. The name of Jesus in Hebrew is Jesus real name. The Greek transliteration, the Roman transliteration, and the English transliteration of Jesus real name, Yashua, all hide the real meaning of Jesus Holy Name.Yashua is a compound name made from 2 words. "Ya" Is the short form of the most Holy name of God our Father. The name that God gave to Moses at the burning bush. This Name used to be transliterated as Jehovah but there is no "J" sound in Hebrew so is now transliterated as Yahweh. No matter the pronunciation, the meaning is, "I Am That I Am". The second part of Jesus name is "shua" which means "savior", so that Jesus real name Yashua means "Yahweh Savior" or "Yahweh's Savior". I don't know why God's most Holy name of Yahweh is substituted in the Old testament translation as LORD with all Capital letters, but it causes some confuses things because this causes the real meaning of our Savior's name to be hidden also. Just so you know, I am not a Jehovah's Witness, I am just a Christian who cares about the real meaning of God's most Holy name and Jesus Most Holy name and suspect that God cares also. The reason why YHWH is substituted with so many other terms often translated to English as "Lord" is based on respect. The Jews use "Adonai," "Elohim," "El Shaddai," etc., in place of the Tetragrammaton in order to never be in danger of blasphemy. I have often heard people dismiss this practice of the Jews. I think that dismissal is foolish. Even modern Catholics have so little reverence for the Divine Name that they take it in vain as a simple matter of course. To respect the name of Almighty God out of true and virtuous fear of the Lord is a laudable practice. Isn't 'gosh' actually a euphemism for 'God'? 'Golly gee' for 'God' and 'Jesus'? Shouldn't we avoid these and all similar euphemisms as minor encroachments on the 2nd commandment? Your transliteration of Iesous is actually incorrect when you put and "h" or "H" in place of the 7th Greek letter, "Eta". Small case or captital, it is the Greek letter for our "e/E" and can in no way be transliterated to an "h/H". There is no letter for H in Greek; only the breathing mark, which is a reverse of our comma, giving us the "rh' in many of our words. You obviously don't know much about greek ... the letter "eta" in capitalized form is written like this: "H". I'm not giving a transliteration, I'm writing the letter in Greek form -- "IHS" (the sigma is giving in a modification of the Byzantine form). What about "Jesus Salutaris Hostia". I am surprised that no one has mentioned this signification that links so closely to pre- Vatican II conception of the mass as a reenactment of the Sacrifice on Calvary. I was taught that this was why the letters IHS appeared so often on chalices and chasubles and tabernacles.